This is a blog on wealth creation strategies. I’ve been developing an investment doctrine which combines the wealth building tactics used by successful individuals all around the world. These tactics may include but are not limited to, leveraging, value investing, working at a part-time job, swing trading, dividend investing, alternative investing, multiple income sources, hedging, starting a business, etc. Most investment decisions I’ve made have been profitable. However I have also made some poor investment decisions along the way so I hope others can learn from my mistakes. Eventually I plan to reach financial freedom when I am 35 years old, hence the name for this blog. When I began investing years ago I barely made more than a few hundred dollars from dividend paying stocks. Back then my investment returns were just a fraction of my employment income 🙁 But in my second year I had made about $1,000 in dividends, and so on. Today my main stock portfolio generates over $5,000 a year in dividends. You can read the Stocks category to find out which types of stocks I like to buy. 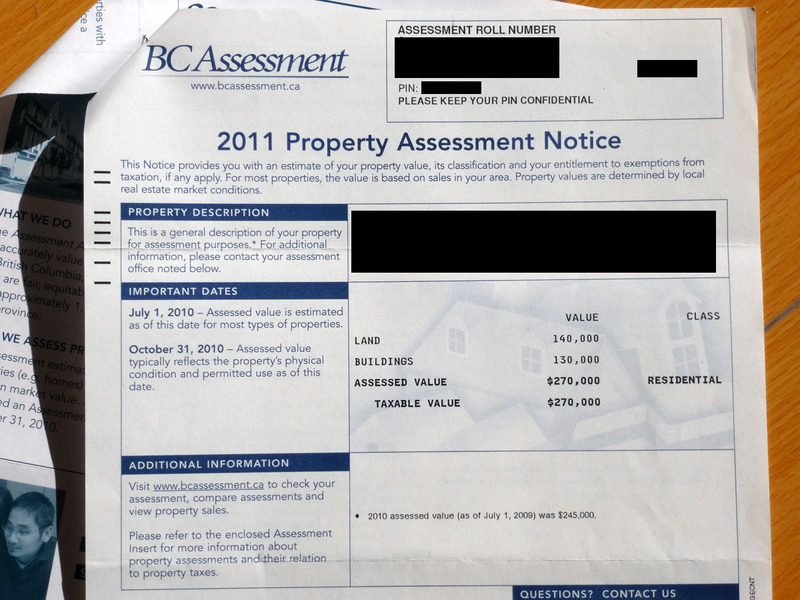 The apartment I bought in 2009 for $230,000 had appreciated to $270,000 by 2011, which is a passive net worth increase of $40,000. And it’s worth even more than that today. The farm I bought for $150,000 is worth at least $200,000 today because the average farm price increased by 19% in 2012, then by 28% in 2013, and is still climbing today. My overall strategy is not a get rich quick and easy scheme because it does require a little discipline, an appetite for risk, and a lot of patience. But it’s simple to understand, realistic, and easy to execute. I usually post all my latest investment ideas and financial management strategies on the main page. Knowledge is power, and the more we know the better equipped we’ll be to reach our goals. To become better at wealth creation we must learn from those who have already created it. If I had to sum up my winning strategy so far it would be this: Study what the rich have been successfully doing for generations, and follow in their footsteps 🙂 If we think like the rich, and act like the rich, then eventually it would only make sense that we will become rich ourselves. I am a regular reader and follower of your blog. I love your articles and the amazing strategies you use for investments and wealth creation. I have a question. In one of the articles on Mortgage Invetsment Corporation investments you mentioned that you borrowed $2,000 Home Equity LOC (3.5% interest.) and $3,000 Margin Loan (4.25% interest). I’m assuming both are good low-cost loans provided against your property (which is under mortgage). For someone without property how can I borrow at such low interest and invest in higher-yield investment ? Please advise. On the basis your original deposit into the margin account was $10,000USD ($13,600 Cdn) which you then purchased $15,000USD (FX into $Cdn) to buy Atrium Mortgage (MIC). How much in interest did you pay that month and is that interest over the course of 12 months 2% even when factoring in any FX fluctuations? In the example that I used, the $10,000 is in USD. That is the minimum to open an account with IB. You can have both USD and CAD with IB though. They will just show up as separate accounts. I currently have both currencies set up with IB. Currently USD margin debt will cost 2.4% annually, so if you borrow $5,000 USD then each month $10 USD will be charged from your account. In other words, if your cash balance was -$5,000 at the start of the month, it will be -$5,010 at the end of the month, before factoring in any dividends or interests you earn from your investments. In terms of buying Atrium MIC (TSE:AI) you would not use your USD account to buy it. You can either deposit CAD into your account first, or convert your USD in IB into CAD before buying any MICs that are traded on the Toronto Stock Exchange. So let’s say you deposited $10,000 USD to open a new IB account. As an example, let’s say your goal is to buy $20,000 CAD of Atrium MIC. First you convert your $10,000 USD to $13,600 CAD in IB. Then you buy $20,000 CAD of TSE:AI. This leaves you with -$6,400 CAD cash balance, which is your margin debt. But you also have $20,000 of AI stock. AI distributes interest to unit holders which yields 7.24% per year. At the same time you are charged 2% interest per year on your $6,400 of debt. So you pay about $11 per month. At the end of the month, assuming the stock price of AI hasn’t changed, your account will be worth $109 more in value. ($120 – $11) After one year your account will be worth roughly $1,300 more, and your margin debt will drop from $6,400 CAD to roughly $5,100 CAD. After a few more years your margin debt will be completely paid off assuming you don’t do anything else with your account. You will be left with $20,000 CAD of Atrium that pays $120 of interest every month. On the $24,000/yr of passive income, is that gross or net?. What is the cost of servicing the debt on the passive income, my guess is that it’s approx $10,000 (3.2% x $310,900), minus that from the $24,000, that leaves a net income of approx $14,000 or 4.5% of free money ($14,000/$310,9000), using the loans, Or, if the $24,000 is gross, the the return is over 7.7%? In either case, free money on leveraging is great. At some point do you see being debt free on the loans of the passive income producing assets, or will you continue to leverage against the assets as they increase over time? I don’t know if all of that is correct or how you calculate percentage return on the asset or see it as free money against the asset holdings which either can appreciate over time or fluctuate? The $24,000/yr passive income I’m making now in 2017 is gross. My current cost of servicing my debt related to passive income is $10,000 per year. My net passive income is $14,000. But free is fungible so things could change at any time. Being debt free is a very real possibility for me in the future. But the cost of debt will have to be greater than the expected returns on investment for that to happen. In other words, let’s say the average cost of borrowing money for me doubled from about 3% now, to 6% in the future. Also at that time, stocks are so overvalued based on their profitability that their expected return is only 4%/yr. So in this situation I would be debt free. Of course interest rates don’t increase from 3% to 6% overnight so my debt will gradually reduce as interest rate rises until I am completely debt free. Average cost of borrowing is whatever my average interest rate is for investment debt. Expected stock market return can be calculated by taking the inverse of the P/E ratio. So both numbers readily available for me to analyze. I make financial adjustments to my portfolio a couple of times a year looking at these things such as interest rates, expected investment returns, and other economic data. ‘Liquid’ – for any of your dividend investment holdings, have you ever considered or looked at selling options ‘covered calls’ on any them similar to what many of the ‘split share corporations’ or ‘closed end funds’ listed on the TMX are doing? Should you get called on the option, then why not simply go back in to buy the same equity again. But over time I’ve discovered that it requires a certain amount of time and effort to sell options on a regular schedule to receive a constant stream of premiums. All transactions are to be noted for taxation purposes. If a covered call strategy is put in place on a decent sized stock portfolio an investor can make 10% to 15% every year from option premiums. 🙂 Personally I’ve decided to just buy a covered call ETF instead such as ZWU. It pays 6.5% a year and appears to be pretty stable. Maybe one day when I am no longer working 2 jobs, I will have the time to trade more options on my own. That is what financial author Derek Foster did. Once his investment portfolio was large enough he focused on selling options as a primary source of income. Pretty cool stuff. Liquid, you posted about when you will be debt free in 2022, then using that $400k number net after the farm sale to pay off any & all outstanding debt. Then it will be leverage the assets to net enough income to live on, that’s it isn’t it? Do you see leveraging the assets to earn minimum 6% gross or a higher return, with net after servicing costs to be your target $15,000/yr or $1250/mth? In between now & 2022, will you leverage as you are doing now or change the model? Pretty much. The idea is by 2022 I plan to have the means to sell my farmland and live on passive income should I decide to retire. My priority is to allow myself more choices, which is what financial independence will do. So if I decide I want to keep working in 2022 then I will probably not pay off my debt. I will continue to accumulate wealth like I’m doing now. If I’m earning enough money from work to meet my living expenses, then I don’t need my investments to generate very much income. This allows me to put them in longer term growth assets such as Amazon and Google (Alphabet) and other very profitable companies that don’t pay dividends but generate long term capital appreciation instead. If interest rates continue to stay low, and I can borrow for lower than 4% on average, then most likely I will keep using leverage to some degree until I start taking CPP and OAS benefits. 🙂 In between now and 2022 my leverage will fluctuate depending on interest rates and my risk tolerance. For example, if I get married, then my risk tolerance will be lower so I will use less leverage. On strategies & investing, I like what you’ve done & accomplished so far in your mix of income generating properties (farms), stocks and solarbonds. When it comes to the stock market, picking equities, ETF’s and whatever, it can be a crap shoot, it really is. On your ‘leverage thread’, that made sense going with something blue chip for the long haul, leverage with margin – sustainable (but you have to watch) to make sure that it’s always a double against the carrying cost of the borrowed money. Discussed previously, I’d have to hedge any position that I take investing in the stock market. A position would have to have options as well as long LEAPS options. So whether it’s selling covered call options long & deep in the money or add a naked put, I will not invest unless I can do those things.